One of my favorite things in the fall is apples. I love them – baked, raw, fried, dried, sautéed – you name it I like it. 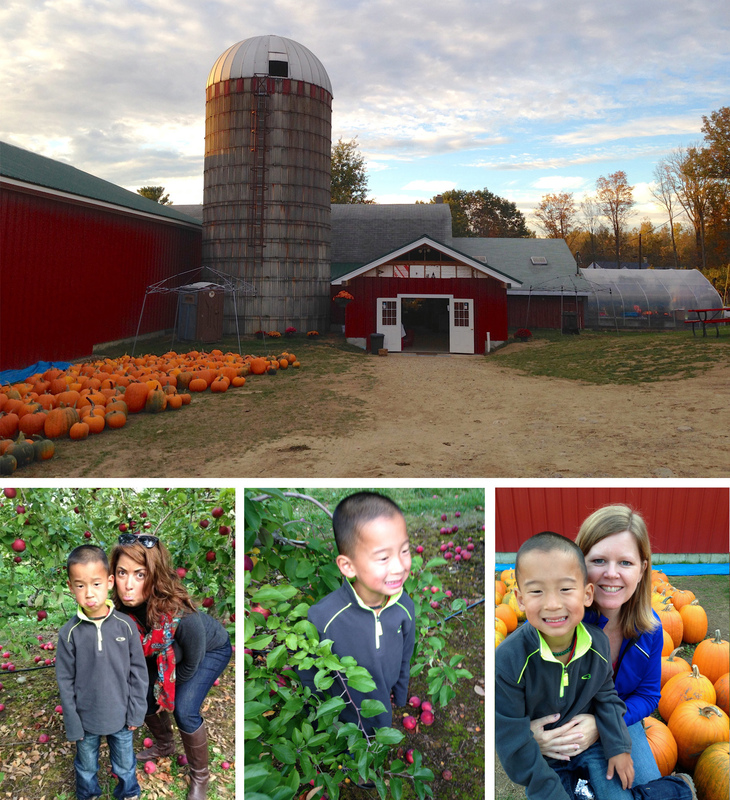 My nephew Henry loves fall too, so we did a little apple picking at Meadow Ledge Farms in Loudon, NH. Here is me and my nephew Henry! 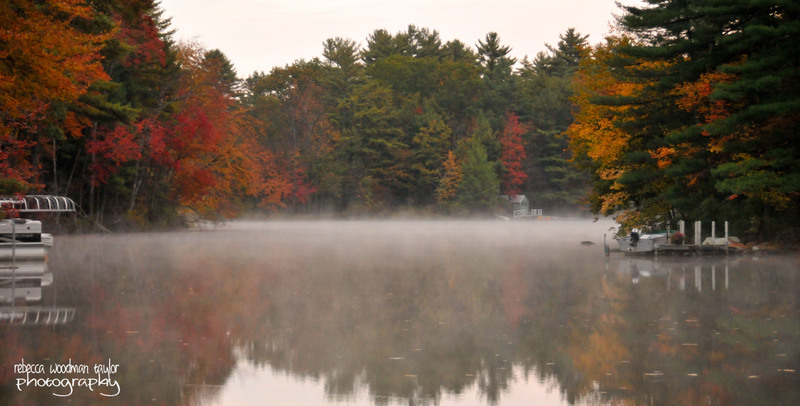 My brother and his family live in the beautiful small town of Strafford, NH on Bow Lake. This shot was taken very early in the morning before the fog lifted and the sun came shining through. If you are ever in Mason, NH, do yourself a favor and visit Pickity Place. The cottage was built in 1876 (where you have a YUMMY 3 course lunch) and was chosen by Elizabeth Orton Jones for her illustrations of Little Red Riding Hood. (Little Golden Books, 1948.) There are charming gardens and all of the herbs grown on the property are included in the cuisine. Visit their website here. 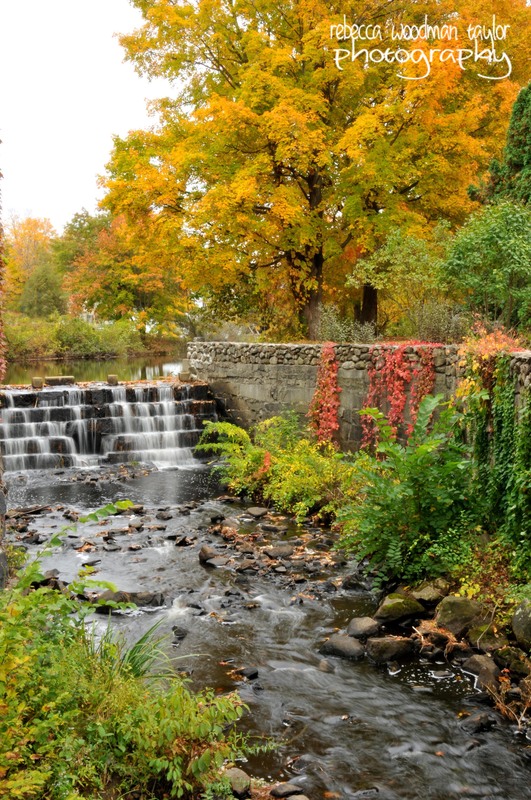 On our way back home we stopped of in Milford to their Fall Festival and happened upon this little spot. I LOVE FALL!!!! 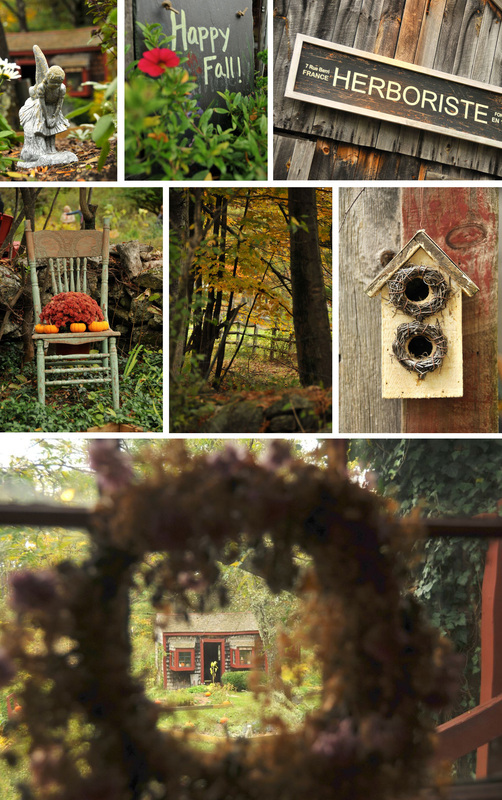 Hey Rebecca…..Great photos! You are a woman of many talents, I see! How can you not love that scenery?? Fall is the only season around here that doesn’t involve mud, bugs or snow. LOVE IT! 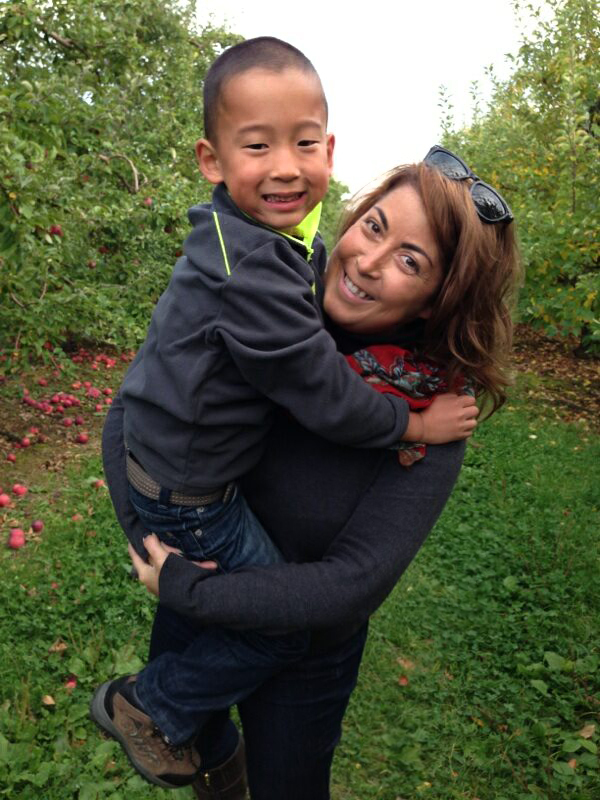 Sooo much fun hanging with Auntie B. Fall’s not over yet, though. We still have halloween and thanksgiving funs planned for you my girl. Rest up!!! The nephew is ready for more Auntie B Bootcamp!